If I were better at graphics, I would make a cutesy little banner for this, since I'm calling it Christmas in July and all. Instead, have a picture I took of a baby goat, because this post feels naked without some sort of picture. Alright, now that that's out of the way! 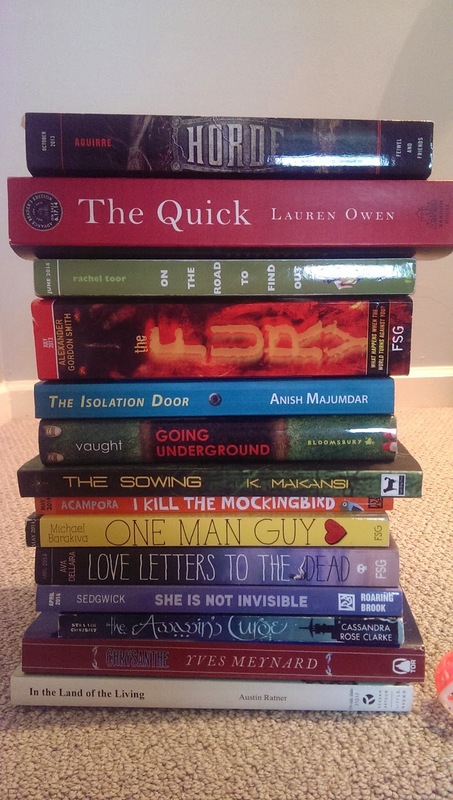 I have a whole stack of books that I would love to give away! Check out all these books, full of words, for your eyes! Here's the Rafflecopter! Go and enter and be merry.